Last July, NASA abruptly ended a spacewalk after the helmet of an astronaut repairing the International Space Station began to fill with water. It’s only one of an infinite number of frightening scenarios that can happen during a spacewalk, which are currently a necessary part of working in space. Just last week, astronauts spent 7 hours and 30 minutes in space repairing a faulty cooling system on the ISS. But in the future, robots could take over the bulk of dangerous jobs like these. The European Space Agency, in conjunction with Simon Fraser University, is working on a robot equipped with gecko-inspired feet that could someday allow it crawl across the surface of a spacecraft in zero gravity. Researchers revealed Thursday that they tested the bot at a pressure and temperature similar to those found in space with positive results. A close-up of the robot’s feet. The robot’s feet are covered in minute hairs that measure just 100-200 nanometers in width, which is actually 100 times larger than the hairs found on a gecko. They allow the robot to stick to surfaces regardless of gravity levels. At that scale, atomic interactions take place that cause the adhesion. The team has only worked with smooth, man-made surfaces so far, but there are plans to adapt the robot to work on more diverse terrains. 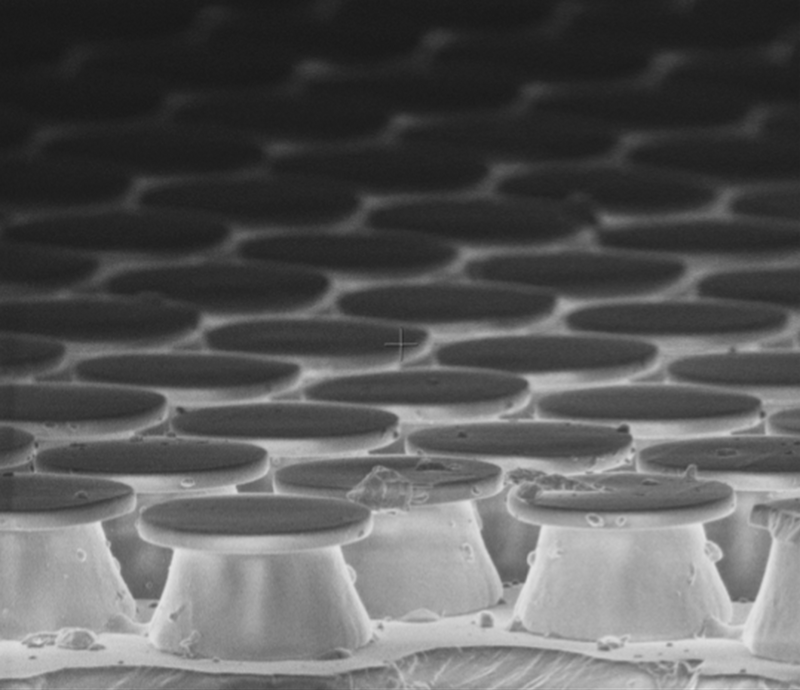 Researchers pursued the gecko-inspired system after noting that alternative adhesives are not suited to space. Someday, the robot could be deployed to check the outside of a spacecraft for defects or even perform repairs. Until then, astronauts will have to make do with makeshift snorkels.